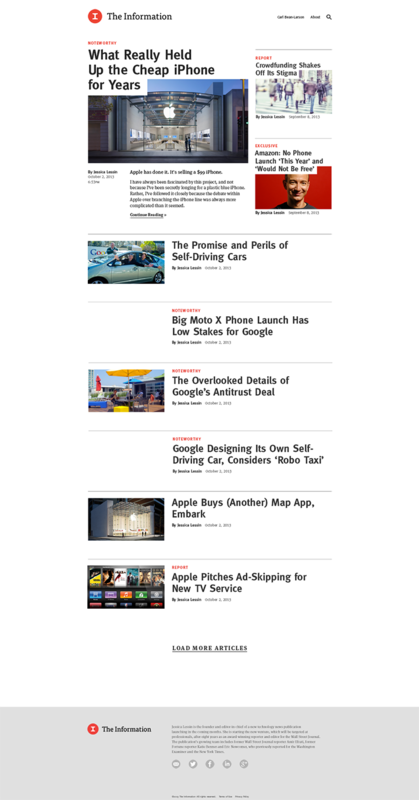 Jessica Lessin’s web site reporting on tech news. The idea of this site was to really let the content be in the foreground and to make sure that it was easily readable and beautifully displayed in all screen sizes. We spent a large amount of time working on the display of the content in the different view sizes. © 2019 IAMB4. All Rights Reserved.